Cisco Systems Inc. (Nasdaq: CSCO) stock is already the most attractive play on networking hardware. And after yesterday's (Wednesday) announcement, CSCO stock may have become even more attractive over the long term. You see, Cisco announced it is going to grow its investment in China by $10 billion over the next several years. The CSCO stock price got a slight 0.8% bump on the development, but the Chinese initiative is only going to help solidify CSCO stock as one of the best tech stocks to buy. This announcement is all coming as Cisco's CEO for 20 years, John Chambers, will step down and hand the role off to Chuck Robbins in July. And the move is going to position the new CEO well. "I'm encouraged to see they're changing leaders. I think that Chambers has been there a little bit too long," Money Morning Defense & Tech Specialist Michael A. Robinson said. "The challenge for the new CEO will be defending market share." And this heavier push into China will be a good maneuver to defend market share. What makes CSCO stock such a good portfolio builder is its dominant role in network hardware. "They still make good products," Robinson said. "It's one of those big-cap companies that I think is a good foundational play." 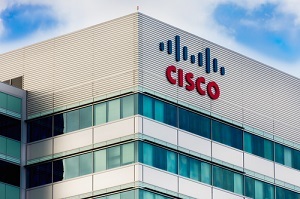 Cisco holds a 44% market share in what was an $18.4 billion industry in 2014, according to Bloomberg Intelligence. They lead market share in switches at 56.8%, routing at 47.8%, data center network hardware at 46.9%, and even to a lesser extent, IP telephony and Wireless LAN at 28.3% and 24.7%, respectively. There's really no disputing the value of CSCO stock when it comes to its presence in the industry.